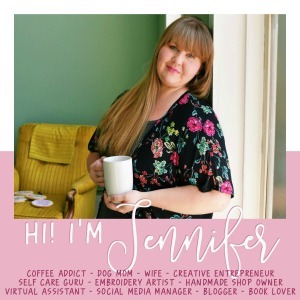 Hi there Busy Being Jennifer readers! I’m Megan from over at All That Glitters! You will be seeing me around here every couple of weeks or so as Jennifer’s new style contributor. I am so excited to get to know all of you! Today’s post stems from an issue that I know all of us ladies have with the changing of the seasons. You have spent all summer putting together cute summer outfits and become accustomed to your favorite ones. 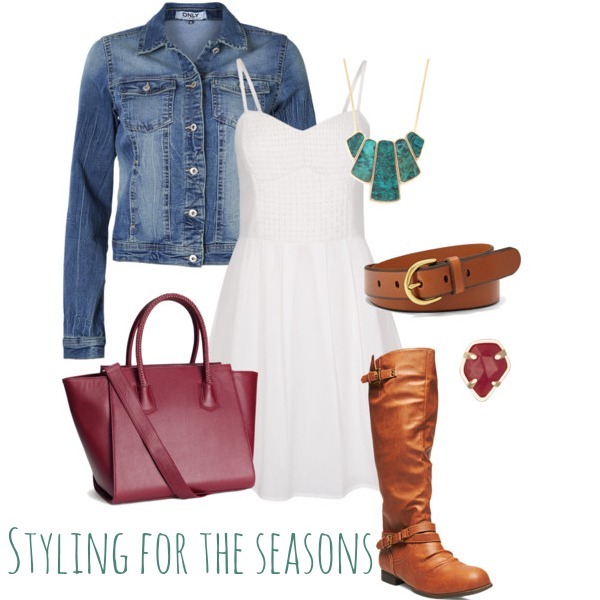 Now, fall is coming and that cute little white dress that you love becomes a fashion faux pax the day after labor day. I’m here to tell you two things. 1. Don’t listen to the fashion rules. Rules in fashion are for boring people and 2. I want to show you how to bring that favorite piece of yours into the next season and beyond! One of the keys to making an outfit more fall appropriate is your color scheme. Rich, jewel tones are my absolute favorite for fall, which is why I included them in both of my outfits today. With outfit #1 I added a khaki blazer to darken it up a bit and of course, it adds a little bit of arm and shoulder coverage in that colder weather. I also added some pops of color with the burgundy and navy accessories, and then tied that khaki blazer back in with these tan shoes. In outfit #2, I kept in the same general color scheme, while still changing the entire look of the outfit. This outfit is a little bit more casual than outfit #1 with the denim jacket and boots, but still looks sharp with that handbag and the jewelry. I would be confident enough in both of these outfits to venture out long after labor day. Now that you know how to style it, that white dress won’t have to sit in the back of your closet until next spring, you can wear it for a night out on the town or for lunch with the girls! Good luck styling all of your summer favorites and making them fall fashionable! I hope to see you stop by All That Glitters to find even more fashion inspiration! That dress is so cute! Sometimes long sleeve dresses feel too sweet but I love this one with the edgy black lace.